ERAMOR, by Stratum. 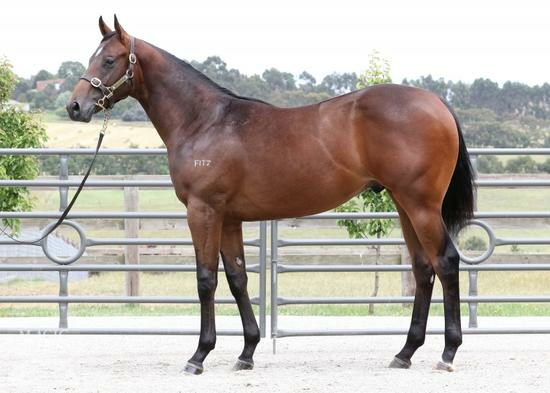 Winner at 2, A$85,850, MRC Debutant S., L, 2d MVRC Essendon Hyundai I30 2YO H., SAJC Haigh's Chocolates 2YO H., 3d SAJC Joel's Getting Married H. This is her second living foal. Dam of one foal to race. ERAMOR (Stratum). Winner. See above. Steel Frost. 3 wins at 1300m, 1400m in 2016-17 in Aust. Dovana. Winner at 1300m in 2016-17 in Aust. ROMARE (Marscay). 3 wins. See above. Freedom Reigns - Superb Challenge (Sing.). 6 wins-1 at 2-at 1200m, 1400m, A$45,620, S$237,181, AJC Hickory H., Singapore TC Kranji B S., Graduation S., Benchmark 83 H.-twice, 2d AJC Hazel Wilson Life Member H., STC Hunter Valley H., St Francis Xavier's Ashbury H., Singapore TC Class 2 H.-twice, 3d AJC Thrifty H., STC Wednesday Night Racing H., Singapore TC Hewlett-Packard S.
Global Reign. 3 wins to 1400m, SAJC Distinctive Lifestyle H.
Why She Left (Al Maher). 3 wins-2 at 2-at 1100m, 1200m, A$172,400, WATC Westspeed 2YO P., Warnbro Fair Liquor Store 2YO P., Westspeed 3YO H., 2d Western Australia Oaks, Gr.3, 3d WATC Natasha S., L, 4th WATC Ascot One Thousand Guineas, L.
VERTINGLY - SOVEREIGN CREST (Mal.) (Bletchingly). 5 wins-2 at 2-to 1200m, A$149,130 in Aust. and Malaysia, VATC Blue Diamond Prelude, Gr.3, VRC Maribyrnong Trial S., L, SAJC Salamander P.H., 2d VRC Maribyrnong P., Gr.2, STC Todman Slipper Trial S., Gr.2, Singapore TC Lion City Cup, L, 3d VATC United Racecourses S., L, Selangor Gold Cup, L, Singapore TC Lion City Cup, L.
Souvent Rouge. 10 wins-1 at 2-to 1400m, A$186,110, AJC Better Boy Flying Welter H., VRC HMAS Anzac Association Sprint H., SAJC Robert Sangster Quality H., Eve Balance H., AJC St Simon H.
Jamais Bleu. 5 wins to 1400m, STC Dundas H., 2d AJC Louviers H., 3d STC White City H., Bore Head H.
Truly Delighted. 2 wins at 1150m, 1400m, HKJC Heng On H., 2d HKJC Albert H., Piaget Protocole H., San Po Kong H.
Broke Anchor. 2 wins at 1200m, 1400m, AJC Woolaway Woolshed Picton H., AAP Racing Services H., 2d AJC Commodore H., 3d AJC Ray White Real Estate H.
Renege - Billion Delight (Sing.) (Night Shift). 3 wins-1 at 2-at 1300m, 1400m, A$109,120, S$22,236, VATC Coal Pak H., Acorn 2YO H., 2d VRC Gibson Carmichael S., L, VATC Business & Economics P., 3d SAJC English Wonder 2YO H.
Do the Trick. 7 wins from 1400m to 3200m, Curragh Thalgo Ladies Derby H., Leopardstown Ravens Rock H., SAJC Mark Williams H., 2d Curragh Joe Malone Lifetime Achievement H.
Golden Glam (T.H. Approval). 5 wins from 1100m to 1600m in Brazil, Cidade Jardim Prova Especial Troyanos, 2d Cidade Jardim G.P. Presidente Jose Antonio Pamplona de Andrade, Gr.3, Prova Especial Much Better, 4th Cidade Jardim G.P. Antenor de Lara Campos, Gr.3, Classico Duplex, L.